Process fish in food processor, add remaining ingredients including about 1/2 cup of breadcrumbs. Shape into balls, coat in breadcrumbs and cook in non stick pan with a little oil of your choice. This was a recipe Ben recreated after a Food tech class at school, he told me he didn’t know any of the quantities but they were delicious, served with a simple rocket salad and a drizzle of caramelised balsamic. 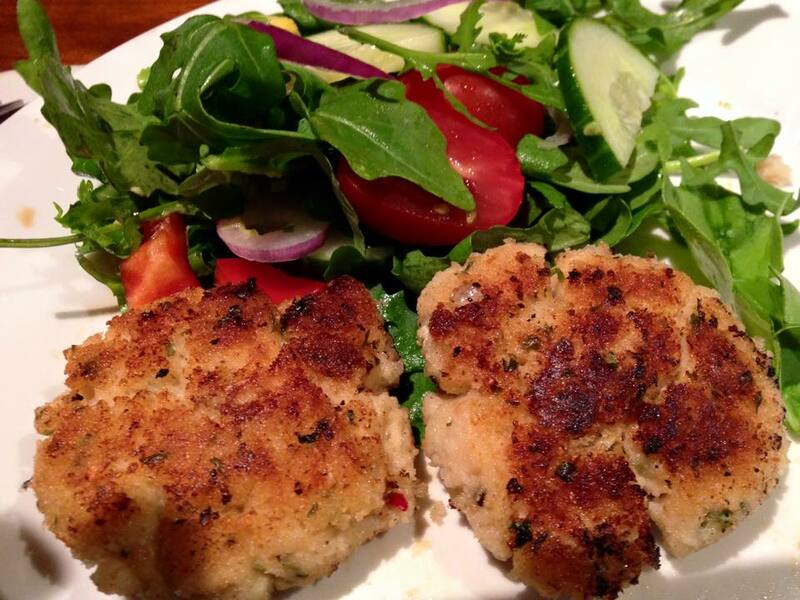 Thai Fish Cakes is an old favourite, this recipe was shared by Leonie.